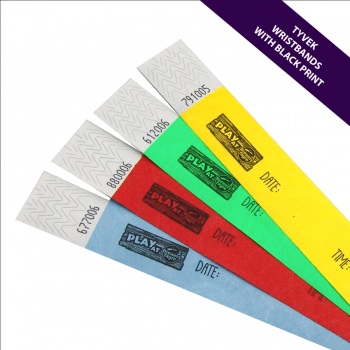 Here at MPM Wristbands we only supply the highest quality Tyvek Wristbands at the most affordable prices. 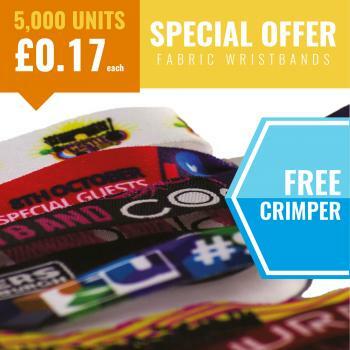 Our minimum order is 100 Tyvek Wristbands and if you're a frequent or bulk buyer then please contact us prior to ordering as you may fall in line for a discounted price. We have customers based all over the world and in various industries so please feel free to contact us wherever you may be based. With the recent increase in outdoor music festivals, events and concerts, our festival wristbands are proving extremely popular. Paper wristbands for events are one of the easiest and quickest ways to tag and ticket many festival goers and today's Tyvek wristbands are robust enough to last the duration of even the longest of festivals. Many festival goers will increasingly keep their previous years wristbands as a memento of the occasion and experience. Festival wristbands are increasingly common product across many of the top festivals in the UK as the fastest and best way in providing festival goers with a unique ticketing pass and providing security to the whole site. Similarly to festival wristbands, paper wristbands for events provide a fast and cost effective means of uniquely ticketing individuals and groups into a restricted, private or paid events. Our high quality wristbands are durable enough to last throughout even the most robust of events and can be fully customised to suit a range of events and occasions. MPM Wristbands supply varying quantities and volumes of event wristbands for the smallest right up to the biggest events. Security wristbands are ideal for any sensitive or secure area that needs to restrict and protect the individuals that have access to the site. Tyvek wristbands are an increasingly affordable and cost effective security pass for many locations and along with lanyard pouches can provide immediate visual recognition and authentication of an individual being allowed on a site or premises.